Years ago, I had the opportunity to hear a motivational speaker who was trying to get people hyped up to go out and conquer the business world and make a fortune doing it. Yes, it was one of those hand-raising, cheering and celebratory conventions, but then I’ve never really been that type of person and didn’t remain long with that company. However, I do recall one thing he said and that was how important it was to find something the public would crave and then use that to build your business. He stated that without French fries, there would be no fast food industry today. He admitted that burgers were great, but then asked how many of us would order a burger if there were no French fries to go with it? As a teenager, I worked at a fast food joint in the center of town. It was a popular place and I recall the manager telling us the most important item we had were the French fries. He said even if the burgers weren’t the greatest, that if we had good fries, people would come back again and again. He claimed that there was something in French fries that almost made them addictive. 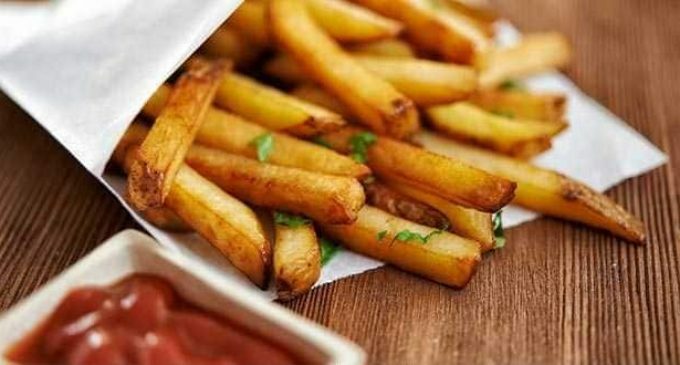 We all know that French fries are not good for us. They contain a starch that quickly breaks down into sugars, thus causing spikes in blood sugar levels. They also have all of the fats and oils that they are cooked in and that helps put the spare tire around our middles. Admit it, there is nothing nutritious in French fries. I recall one diet coach referring to French fries as fat sticks. Okay, so they are bad for us, but good French fries are SOOOOOOO GOOOOD, aren’t they? We eat many things that are bad for us, but that doesn’t stop many of us from still eating them. But what if someone discovered that French fries could cause cancer? Would that stop you from eating them? The report does point out that it is not definite that acrylamide does cause cancer in humans, hence the designation of POTENTIAL carcinogen. However, those studies in animals have prompted the International Agency for Research on Cancer and the EPA to take the steps of listing acrylamide as a ‘probable human carcinogen’. So, technically, French fries are linked to cancer, so eat at your own risk.